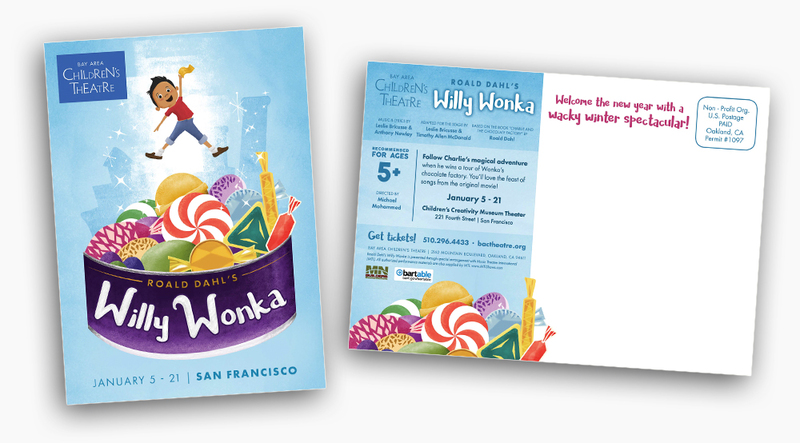 Everyone knows the story of Charlie Bucket and his adventure to Willy Wonka's chocolate factory. This retelling put the focus on the joy and magic of Charlie's moment of discovery, and our marketing focused on capturing that nostalgic holiday charm. I took inspiration from old Quality Street candy ads and the art style of Mary Blair to evoke the energy and retro vibe of the production.